The experiences were wonderful, but the lessons learned were even more special. Al McCarn and I, along with my two youngest sons, Joseph and Silas, set out this morning without the rest of the families. We are all tired, but the others especially, needed a recovery day. The four of us who chose to push forward decided that before The Parade of Nations, we would stop at the Herzl Museum just outside the gates of Yad Vashem. 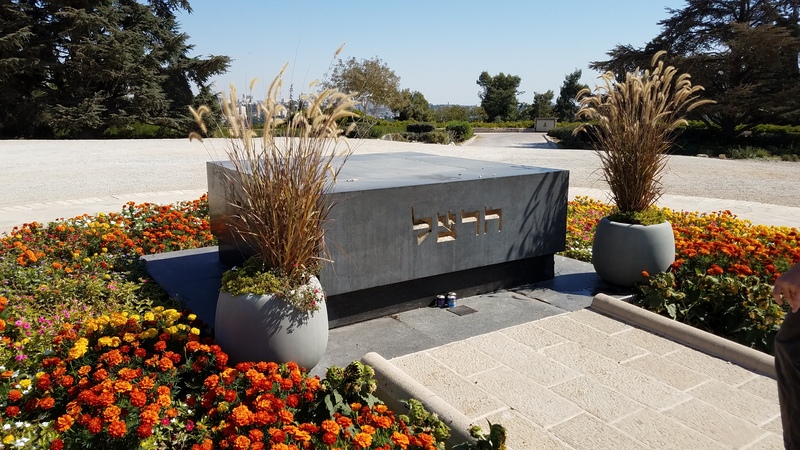 Our purpose for visiting the museum was to pay respects at the grave of Theodore Herzl, visionary and father of the modern state of Israel, but also to grow our vision and understanding of B’ney Yosef and the commitment, challenges and cost necessary to share that vision. In an incredibly well-done series of rooms and high-tech video production, the museum tells the story of Herzl and the origins of Zionism. It exposes the many challenges that Herzl faced, but also reveals the hand of God leading and opening doors to top dignitaries and diplomats for many, many nations. Herzl, literally, worked himself to death in the first seven years of the World Zionist Congress. Besides planning, coordinating, supporting and then leading the first few Congresses, he was the major traveling diplomat and financier. His detractors, from numerous walks and backgrounds, sought to impede him primarily because he upset their apple carts. The wealthy and religious elites opposed him because his bold idea demanded changes and paradigm shifts that threatened their status and control. It was largely the middle and low income Jew who understood the implications of the dream for their futures. Only after a major pogrom in Kishinev, Russia in 1903 did Jews, worldwide, snap awake. Still, it would be 43 more years and a dreadful Shoah before the fulfillment of Herzl’s vision when Israel became a state, a fulfillment he only say with the eyes of faith. Our visit was a solemn one, and challenging. As the Operations Director for B’ney Yosef North America, walking with Al, the Executive Director, the visit was a ‘gut-check’ for us. Are we willing to lay everything on the line, despite the dissenting voices? Are we willing to push when everyone else wants to move slowly? Can we travel, speak, write, etc, essentially pay any cost? Will it take a world shift and pogroms against Messianics and Hebrew roots believers before the masses wake up? All, hard and sobering questions, but as we walked in quiet resolve, pondering what we had witnessed, I sensed in Al the same affirmative answer rising up in me. It doesn’t matter the price. We are willing to pay it. We must. That same resolve is shared by many others in Bney Yosef leadership beyond the North American continent, and indeed by many other believers in the God of Abraham, Isaac and Jacob! How do I know? We have witnessed it over and over this week, culminating with this afternoon in Jerusalem! Two evenings ago, I posted Dayenu, at Sukkot?, and this afternoon was another of those moments. If this whole trip had only been about this afternoon and we had experienced nothing else, then, dayenu! It would have been enough! 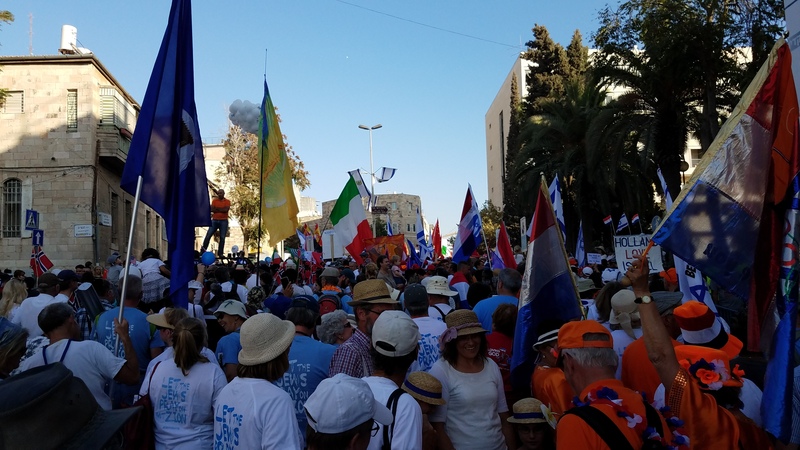 This afternoon, we were privileged to join in the Parade of Nations as tens of thousands of non-Jewish believers in the God of Abraham, Isaac and Jacob marched through Jerusalem as a show of love and support for Israel and to express our desire to see the Jewish people flourish as God intends. 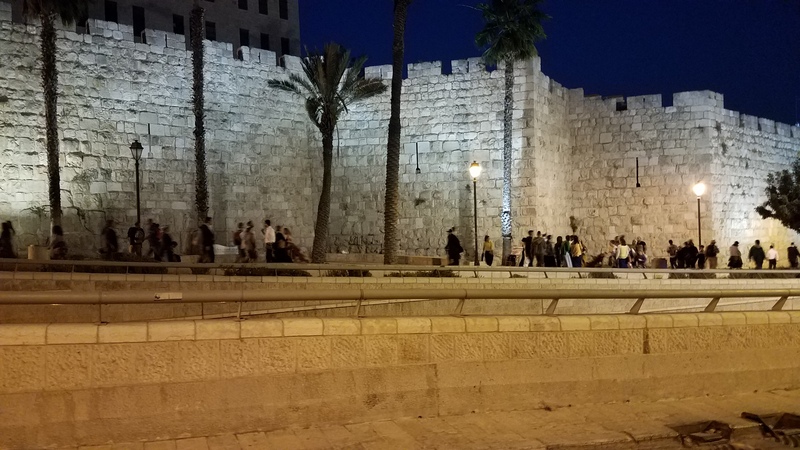 After the Herzl Museum, we rode the train into the center of Jerusalem, and cut through the shuk on Ben Yehuda street looking for shawarma. Falafel is what we found and wolfed it down as we wound our way through traffic and streets to the staging area for the parade. From the time we approached Sacher Park, the air was electric. And, there were people… Lots and lots of people, yet the crowds just kept growing! 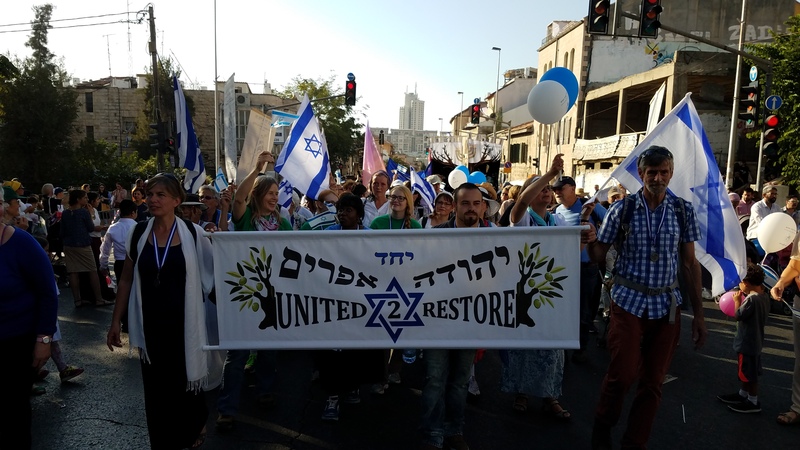 The B’ney Yosef and United2Restore folks were marching together under one banner. (Okay, so we had eight banners… LOL!) Next week is the Second Bney Yosef Congress and we had most delegates in town for Sukkot. The Parade of Nations so perfectly examples our vision for the world to be represented in Ephraim/B’ney Yosef, that this was a must do parade. We waited and watched. People gathered… Flags and people were represented from most nations on the planet. In fact, just among our modest group of a hundred or so, we had Peru, Papua, Indonesia, Australia, Canada, Netherlands, Switzerland, Finland, Sweden, Germany, Britain, United States, Canada, Israel and others. Just among us, over 14 nations were present. I saw flags from Brazil, Portugal, Spain, Mexico, China, the Koreas, Japan, etc, etc… Thousands of flags and tens of thousands of people. The march was very long! Just look at the pictures below!! Indeed, all through the Tanach, the “old” testament, prophecy articulates exactly what we are witnessing across the planet!! Non-Jews are suddenly awakening to Torah and returning to the ancient paths abandoned by their fathers, those of the house of Israel that were scattered by God. And, in it we see God’s purposes to bring light to the entire world! Words are not enough, but I had an interesting thought as we wound toward the end of the two mile parade route. The sun was getting low and I realized that we would not be home in time to wave the lulav before sunset. A tinge of regret befell me as I marched amid all of that joy. To my left was a dear sweet older lady from Indonesia. Just ahead of her was a lady from Peru. 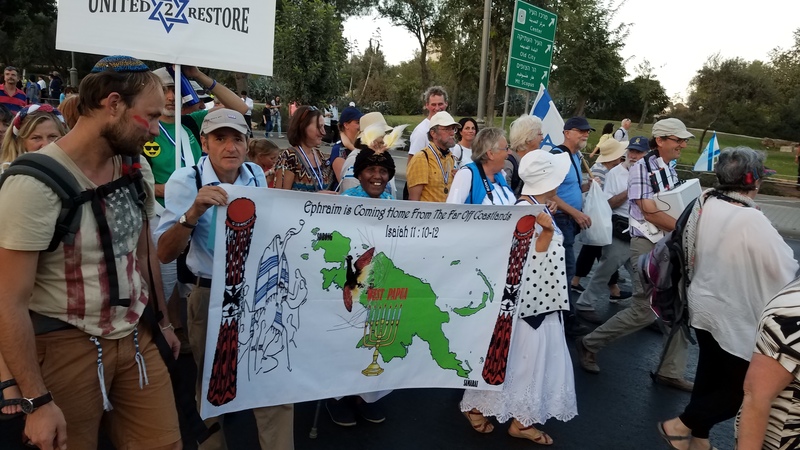 Somewhere in our group was the Aboriginal lady that we are hosting who had never been on an airplane, never mind halfway around the world before this week, yet she keeps Torah and was in Jerusalem for the Parade and the Congress. Then it dawned on me, we were the lulav being shaken before the Lord!! Why wave different species in the six different directions during the Feast of Harvest if not to remind the KING that He has made a promise and we are expectant of His fulfilling?? 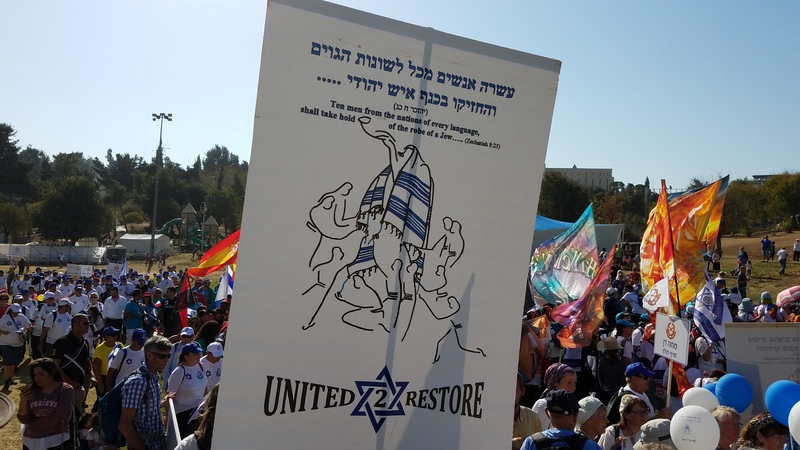 Here, in this parade, rejoicing and praising Hashem, were people from nearly every tribe, tongue and nation on the planet!! This is the harvest, or, the beginning of the harvest, that is prophesied! May HE draw us ever closer and use us a fragrant offering to himself in humble service as we, like Herzl, lay our selves down that His promises to our fathers, Abraham, Isaac and Jacob might be fulfilled. Our evening was capped off by a slow walk back though the golden hues of the setting sun glinting off of the pale Jerusalem stones of the houses and Old City walls. It was magical, … and warming. I love this people and this Land and hope one day to call it my home. More to do tomorrow, so I’ll leave you with a bunch of pictures. 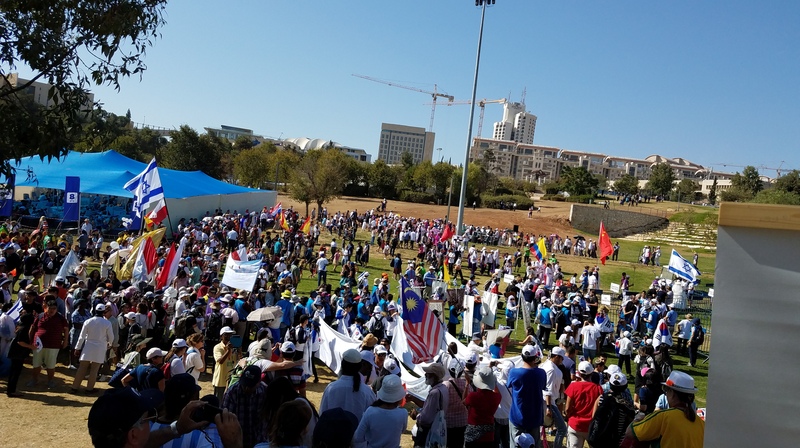 Know that you were well represented in Jerusalem today, but you need to plan NOW to be here next year!! This entry was posted in Holidays v. Feasts, Travel and tagged Bney Bnai Bnei Yosef, Israel, Jerusalem, parade, Parade of Nations, photography, travel. Bookmark the permalink. 4 Responses to What an AMAZING day!! Well I’m crying…again! I so wanted to be there but I am soooo thankful for your ability to share in real time so that I can share with others here. May we all be encouraged and rejuvenated to press on! I share your dream…soon we will be home. Tears of Joy flowing to hear this testimony! Praise to the Messiah of Israel!